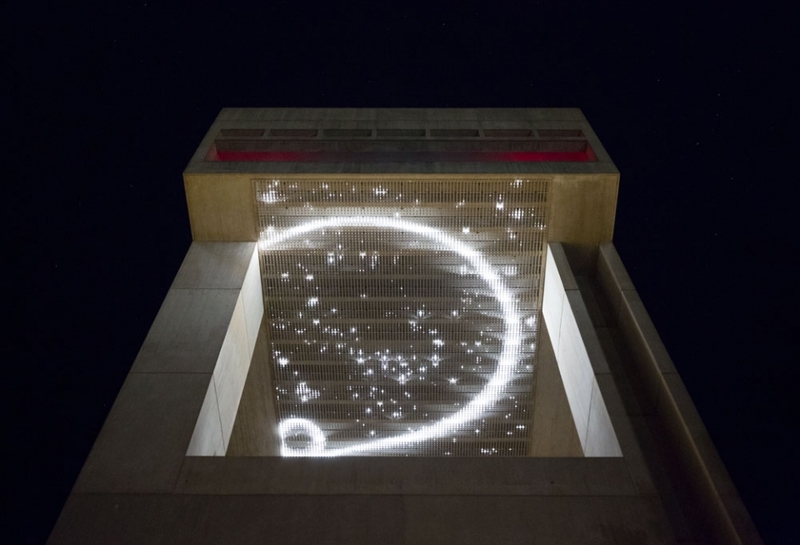 In homage to the late Cornell astronomy professor Carl Sagan, artist Leo Villareal has installed a massive light work at the Johnson Museum of Art in Ithaca, New York. Titled Cosmos, the work uses 12,000 LED lights to emit complex patterns of shimmering light. This entry was posted on Friday, March 22nd, 2013 at 9:31 pm	and is filed under Art News. You can follow any responses to this entry through the RSS 2.0 feed. You can leave a response, or trackback from your own site.